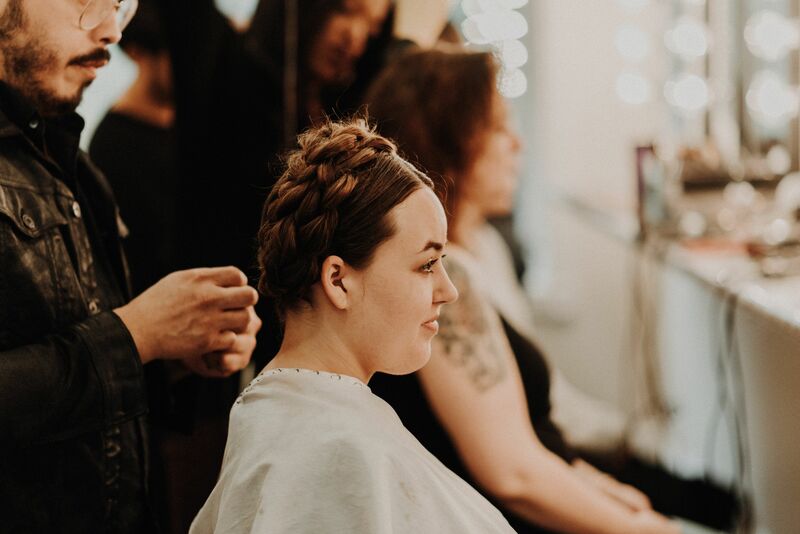 When soon to be bride Candace Graves approached owner of Studio A Salon David Armendariz about her artistic vision, the A-team was thrilled. Candace is an artist and was influenced by Frida Kahlo, amongst other artist, for her artistic ritual. 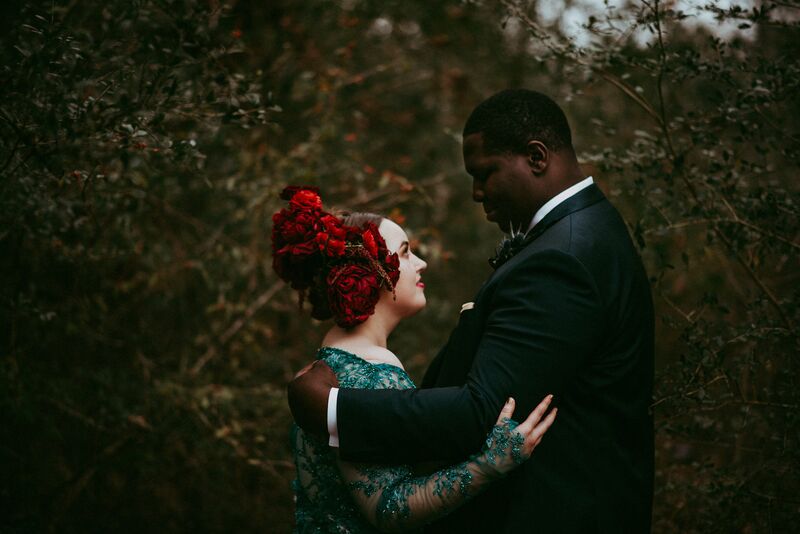 The wedding was held at Ashton Gardens in north Houston where Candace embraced the green foliage of the surroundings. 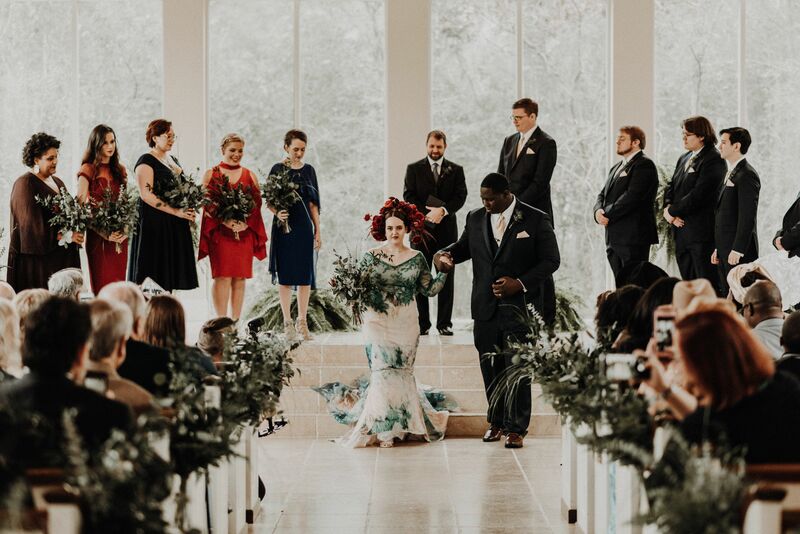 She envisioned a flower headdress with her curated teal gown, designed by herself and executed by Designer Obrigada. David then contacted Nikki of Thorn Floral Studio. (Nikki created the beautiful flower crowns for Studio A Salons 2017 Heart of Cinco event). It was a perfect match! Paired with David’s bridal hair talent and Yesenia Garcia Makeup - Thorn Floral Studio added the final touch. 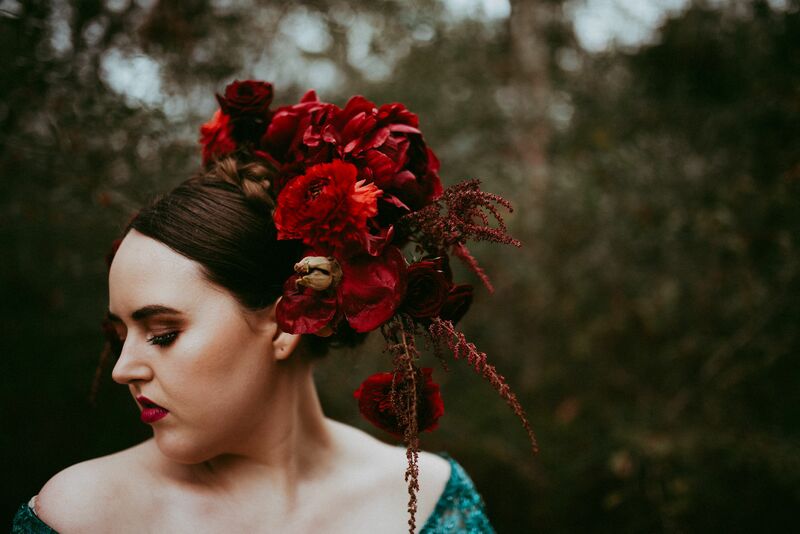 Hair by David Armendariz, Makeup by Yesenia Garcia, Flower Crown by Floral Thorn Studios.